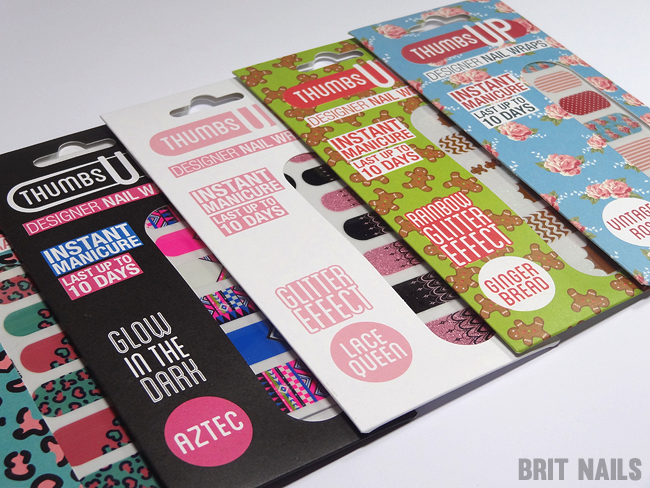 Thumbs Up Designer Nail Wraps - Review, Giveaway and Discount Code! 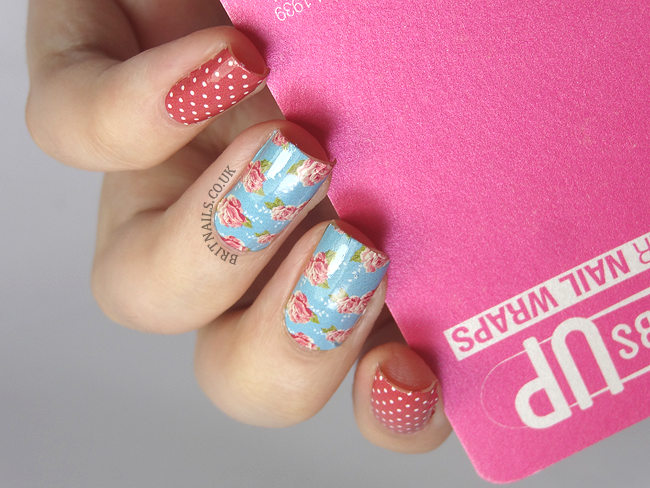 Welcome to my latest outing with nail wraps! 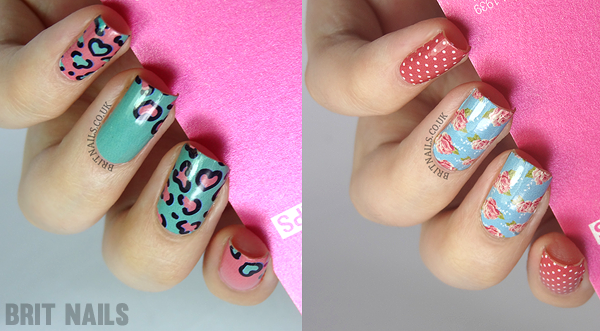 This time I'm trying out Thumbs Up Designer Nail Wraps. Aren't the designs lovely!? Read on to find out how I got on with them, and to enter a giveaway to win the designs I'm wearing! Look at that colourful pretty packaging! We all know I'm a sucker for cute packaging. According to their website, Thumbs Up wraps will last up to 10 days and you don't need heat to apply them, which is good as I can never be bothered to get the hair dryer out! They are also gel/acrylic friendly and contain 0% PVC. Grace Wang, the creator of Thumbs Up, offered some extra tips on application and I have to say they did help me get practically perfect results! 1. Warming the wraps using temperature from your hands prior to application helps them to adhere better. 2. Remove oil from your nail beds and buffing lightly before applying. 3. During application, work your way slowly from the cuticle side, smoothing the wraps from left to right in a semi circular motion, repeat the smoothing and move upwards. 4. Lift the wrap gently to reapply where necessary. 5. When the wrap is adhered 2/3 way through, you want to pull/stretch the excess wrap gently over the nail edge. 6. Pull from left side towards the centre and then the same motion on the right side, this helps to get rid of side creases if any. I prefer not to use top coat when it comes to wraps, but if you'd like to, gel top coats will apparently work best with these. Personally I never feel the need to use any as I don't keep them on for too long and the staying power is pretty good anyway. This is the Leopard Love design. See, no air bubbles! 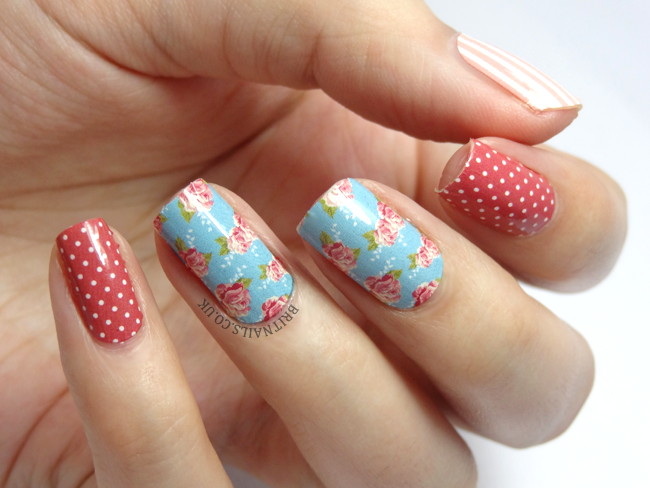 This is the Vintage Rose design. You can purchase Thumbs Up wraps from their website. Fill out the Rafflecopter form to enter. First 3 are mandatory, the rest are optional for extra entries. - 1 winner will win both designs, provided by Thumbs Up. - Giveaway will run from now until February 3rd. - Winner will be contacted within 24 hours. Please respond within 48 hours or I'll have to pick a new winner! I tried to enter the giveaway, but for some reason, it wouldn't let me enter my email or Bloglovin name. Not sure if this is just my iPad, or an existing problem. I would love to try these. These look stunning I would love to try them! Thank you for the lovely giveaway!! I am a new follower..